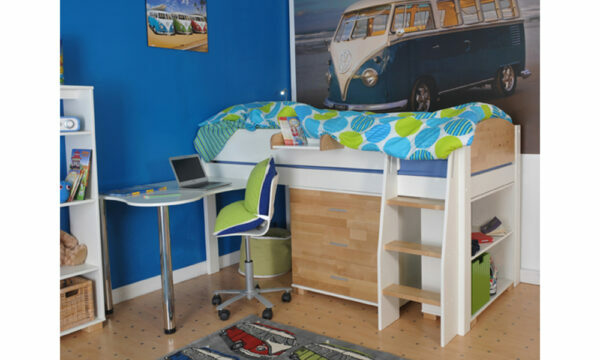 The Urban Midsleeper offers a stylish and contemporary space saving bed with a shaped fixed desk, 3 drawer chest and low 1 shelf bookcase. 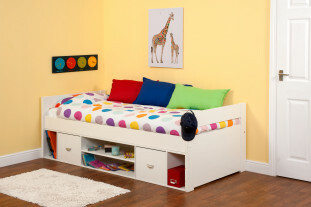 Constructed from solid pine with MDF safety rails, finished in solid white lacquer with striking solid birch detailing on the headboards and steps and drawer fronts. 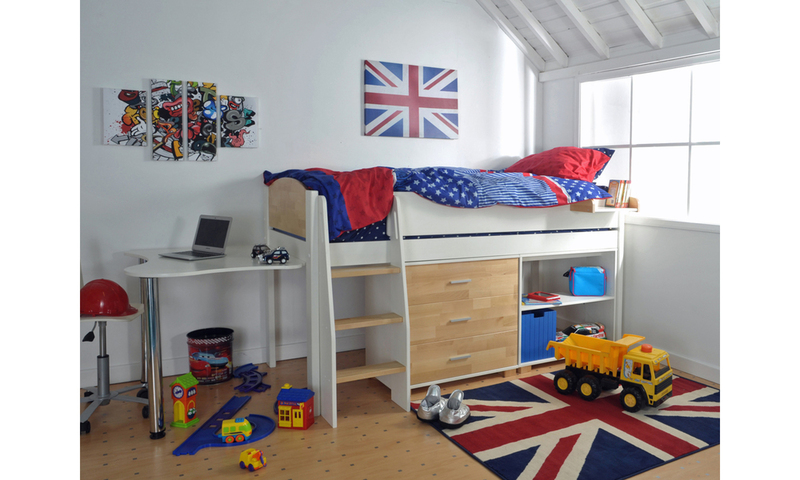 The ladder can be built on the left or right hand side to suit your room layout . 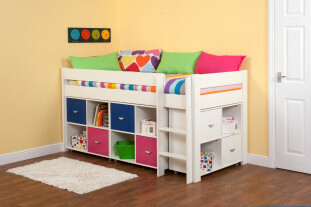 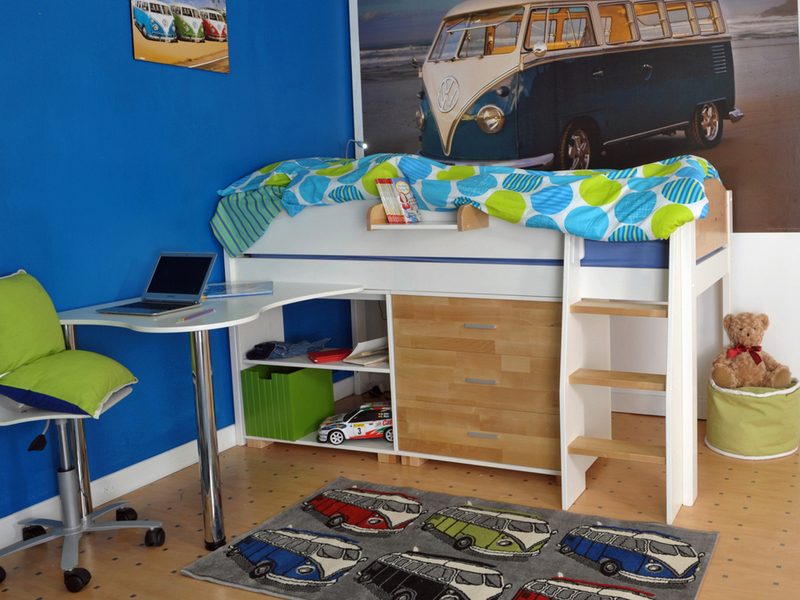 A great cabin bed with study and storage options, the free standing underbed furniture can be arranged to suit your preferred configuration. 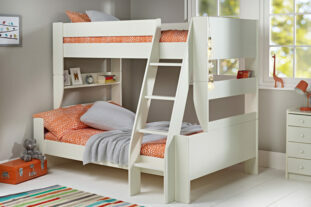 * Manufactured from solid pine, MDF and solid birch. 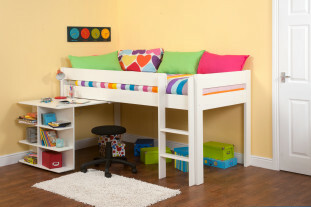 Finished in White and Birch.